Oh Ducks #1: What Kicker? This year our kicker hit the upright and it bounced in instead of through. 1. Get a decent kicker if you expect to be in the running for the National Title. It doesn’t always matter if you recruit the best quarterback or running back or whoever, sometimes a kicker can be useful and it would be nice to have one that can kick a field goal from more than the 10 yard line. 2. Score touchdowns and only use your kicker for point after kicks…If we didn’t ever need to kick a field goal, it wouldn’t matter if we had a decent kicker. (I fear this is their actual plan). 3. Don’t pin all your hopes on a group of 18 year old boys. They are human and can’t always be crazy football rock stars. 4. If you are crying in the stands over this loss…you might need to re-prioritize your life. I know the cameramen love to find the poor desolate college girls who are crying, we watched it at Alabama last week…but come on, seriously, tears? 5. Chocolate chips and decaf help the tummy ache that comes at the end of OT. 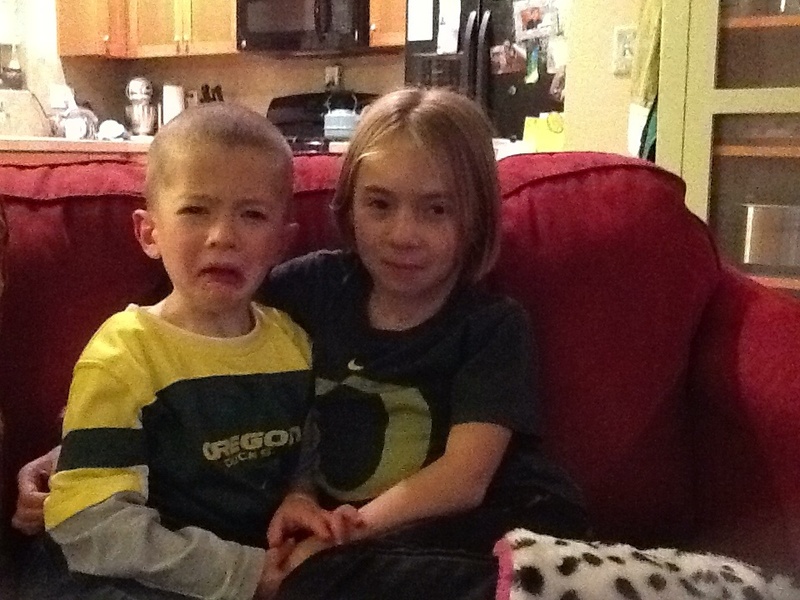 These kiddos have seen as many Duck losses in their entire lives as we usually saw in the first half of one season when we were kids.